Did you know? One of the best ways to get information is by visiting the IRS Small Business Tax Center where you can learn everything from how to get an Employer Identification Number (EIN) online to how to best navigate an audit. The Internal Revenue Service is cautioning taxpayers to avoid the dangers of “ghost” tax return preparers. A ghost preparer is paid to prepare a tax return, but does not sign it, either electronically or on paper, as the paid preparer. These phantom preparers who won’t put their name on the tax return are a warning sign for taxpayers of a potential scam. Here’s how it works. The ghost preparer can print the paper return for their client and tells them to sign and mail it to the IRS. Or, for electronically-filed returns, they will prepare it but won’t digitally sign it as the paid preparer. By doing so, the tax return appears to be self-prepared, with no indication that a paid tax preparer was used in completing the tax return — helping keep the return preparer under the radar. 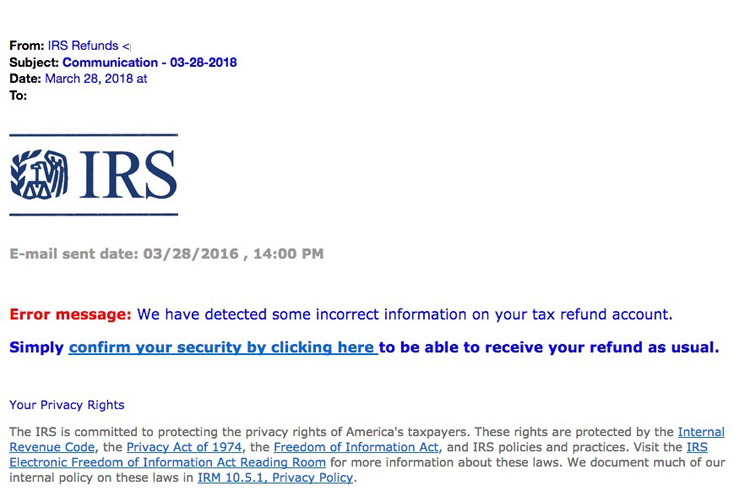 Taxpayers and tax professionals need to be alert to identity theft scams, especially a new email version currently pretending to be from “IRS Refunds.” The “IRS Refunds” scam is a common tactic used by cybercriminals to trick people into opening a link or attachment associated with the email. This link takes people to a fake page where thieves try to steal personally identifiable information, such as Social Security numbers. As the April 17 tax-filing deadline nears, many taxpayers may rush to finish their tax returns or find that extra time is needed to get them done. The IRS recommends that taxpayers request a filing extension if they need one. Mistakes can happen when hurrying to file a tax return by the due date. This can mean longer processing times and possible tax refund delays. Electronic filing is the best way to avoid common mistakes; it is also the most accurate way to file a tax return. The IRS estimates that about 70 percent of taxpayers can file their tax return at no charge by using IRS Free File software. Steer clear of common tax-filing mistakes by following the helpful tips in the article. The Internal Revenue Service urges taxpayers to use IRS.gov/account to check the status of their federal tax accounts. The IRS.gov/account provides individual taxpayers with basic information to file, pay or monitor their tax payments. The Internal Revenue Service encourages several key groups of taxpayers to perform a “paycheck checkup” to check if they are having the right amount of tax withholding following recent tax-law changes. The new tax law changes make it especially important for specific groups of taxpayers to visit the Withholding Calculator on IRS.gov. This includes people in households with two or more jobs, who have children or dependents, who itemize their taxes, or who have high incomes or complex tax situations. With tax reform bringing major changes for the year ahead, the Internal Revenue Service reminded the many self-employed individuals, retirees, investors and others who need to pay their taxes quarterly that the first estimated tax payment for 2018 is due on Tuesday, April 17, 2018. A companion publication, Publication 505, Tax Withholding and Estimated Tax, has additional details, including worksheets and examples, that can help taxpayers determine whether they should pay estimated tax, such as those who have dividend or capital gain income, owe alternative minimum tax or have other special situations. The Internal Revenue Service has updated the tax year 2018 annual inflation adjustments to reflect changes from the Tax Cuts and Jobs Act (TCJA). The tax year 2018 adjustments are generally used on tax returns filed in 2019. See the full article for the items affected by TCJA for tax year 2018 of greatest interest to most taxpayers. This year’s “Dirty Dozen” list highlights a wide variety of schemes that taxpayers may encounter throughout the year, many of which peak during tax-filing season. The schemes can run the gamut from simple refund inflation scams to technical tax shelter deals. Taxpayers need to guard against ploys to steal their personal information. And they should be wary of shady promoters trying to scam them out of money or talk them into engaging in questionable tax schemes. The IRS highlighted the “Dirty Dozen” scam list in separate news releases across 12 days. Taxpayers are encouraged to review the list in a special section on IRS.gov and be on the lookout for these con games throughout the year. The Treasury Department and the Internal Revenue Service (IRS) have issued Notice 2018-28, which provides guidance for computing the business interest expense limitation under recent tax legislation enacted on Dec. 22, 2017. In general, newly amended section 163(j) of the Internal Revenue Code imposes a limitation on deductions for business interest incurred by certain large businesses. 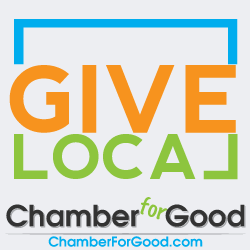 For most large businesses, business interest expense is limited to any business interest income plus 30 percent of the business’ adjusted taxable income. The IRS has developed the Tax Time Guide, a series of nine news releases to help taxpayers navigate common tax issues as this year’s April 17 deadline nears. The Internal Revenue Service has released the 2017 IRS Data Book, a snapshot of agency activities for the fiscal year. The 2017 IRS Data Book describes activities conducted by the IRS from Oct. 1, 2016, to Sept. 30, 2017, and includes information about tax returns, refunds, examinations and appeals, illustrated with charts showing changes in IRS enforcement activities, taxpayer assistance levels, tax-exempt activities, legal support workload, and IRS budget and workforce levels when compared to fiscal year 2016. New to this edition is a section on taxpayer attitudes from a long-running opinion survey. The Internal Revenue Service reminds taxpayers that income from virtual currency transactions is reportable on their income tax returns. Virtual currency transactions are taxable by law just like transactions in any other property. The IRS has issued guidance in IRS Notice 2014-21 for use by taxpayers and their return preparers that addresses transactions in virtual currency, also known as digital currency. The Internal Revenue Service’s Low Income Taxpayer Clinic (LITC) Program Office has issued its annual program report. The report describes how LITCs provide representation, education, and advocacy for taxpayers who are low income or speak English as a second language (ESL). During 2016, LITCs represented 19,479 taxpayers dealing with an IRS tax controversy. They helped taxpayers secure more than $4.3 million in tax refunds and brought more than 4,200 taxpayers back into compliance. More than 720,000 people get plain-language IRS tax tips sent to their email inbox through a free subscription service available on IRS.gov.